start of its soft-open period. That business is Bitter Brothers Brewing Company (4170 Morena Boulevard, Bay Ho), a chef-led project that’s been in the works for roughly two years. It was originally slated to open in time for the 2014 edition of San Diego Beer Week, but delays in construction and equipment delivery pushed things out considerably. But that’s not to say everything’s the same. Take, for instance, a pair of Berliner Weisses flavored with pomegranate and ginger, respectively. They seem to have replaced the Belgian-style witbier Warnke foretold of last year. And the aforementioned porter will now be brewed with a third-of-a-pound of local coffee per-barrel from fellow Bay Ho business, Caffé Arcidiacono. Barrel-aged beers (a porter, sours and an altbier from younger Bitter Brother, Kurt Warnke) are also part of the plan. Often, when a business experiences time-consuming hiccups en route to opening, its plan of action can undergo numerous revisions, but this is not true of Bitter Brothers. Armed with a detailed business plan, co-owner Bill Warnke has stuck to his guns. The core beer line-up he rolled out to me back in June of 2014 remains largely the same, featuring India pale ales (IPAs) of varying flavor and bitterness (hence the business’ name)—a low-alcohol “session” variety brewed with Citra hops going by the name Little Brother, an Amarillo hop-based IPA called The Prodigal Son, and a Big C-hopped throwback to Pacific Northwest IPAs of yore dubbed Sibling Rivalry—as well as a south German hefeweizen and two traditional, English-style beers in the form of an extra special bitter (ESB) and porter. Delanie Koken and John HunterAlso different than the early version of Bitter Brothers is the addition of John Hunter, a brewer with recent experience at 32 North Brewing Company, White Labs and Karl Strauss Brewing Company. He will take the lead fermentationist role over the company’s 15-barrel brewhouse, joining Bruce McSurdy, formerly of Poway’s Lightning Brewery (which Bill oncehad a financial stake in), who has been part of the Bitter Brothers equation nearly from the start. Additionally, Kurt will work on new recipes on top of his role as operations manager, making for a true team effort where each brewer’s distinct style is reflected. Hunter was popular for what he refers to as “candy-bar beers” after his Peanut Butter Cup Porter became wildly popular during his Karl Strauss days. Building off that, he is planning on a chocolate dunkelweizen built to emulate the flavors of a chocolate-covered banana. The aforementioned Berliner weisses are his, too. Warnke says there are two missions where Bitter Brothers’ beers are concerned. To create ales and lagers that are both poignantly flavored yet balanced and (ironicallyenough) restrained in their bitterness. 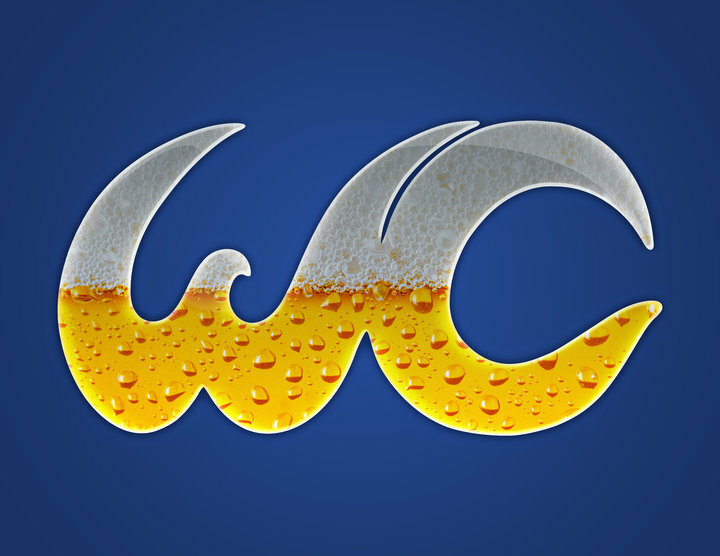 Also, hailing from the culinary world, Warnke wants his beers to be extremely food-friendly. That pairability will be displayed via numerous food-and-beer events held at Bitter Brothers’ tasting room, which was designed so it would be large enough at 700 square feet to hold such sipping-and-supping soirees. That sampling space is located between two big draws—a Costcoand the largest Harley-Davidson dealership in the country. This should provide plenty of traffic for the business. Fortunately there is plenty of parking to handle passers-by who decide to give Bitter Brothers a chance. 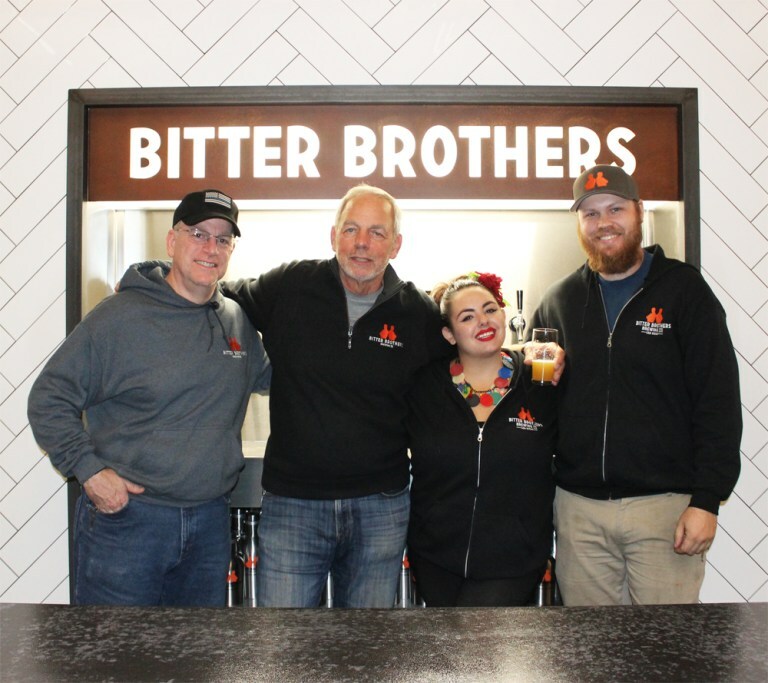 Bitter Brothers’ entire facility comes in at 3,200 square feet and equipped with 14 total taps, two of which are nitro in nature. Warnke hopes to produce 600 barrels of beer in 2016, but the brewery is equipped to hit 1,440 barrels annually. The purchase of additional fermentation vessels would max out the facility at 3,150 barrels per year. At some point between now and 2017, Bitter Brothers will begin canning its beers. It’s a lot to accomplish in the first 12 months, but the crew has had plenty of time to strategize. They’re excited to stop planning and start doing.